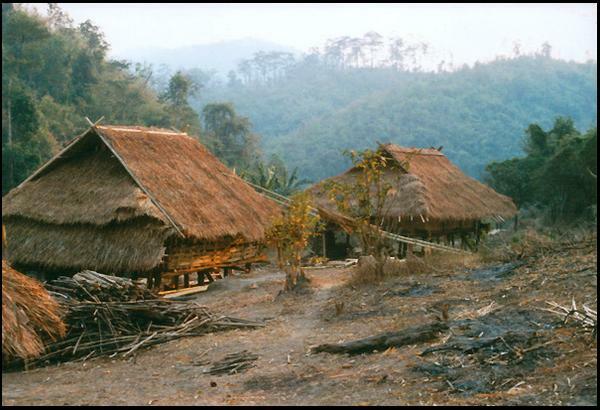 New houses in an Akha village Northern Thailand. The houses appear to be still undergoing completion. Unframed, no mount (mat) for easy posting.